The beloved ex-Met and fan of the TV show "Friends" had been with the Mets since he was 16. It’s The One Where Wilmer Really Says Goodbye, for Good. 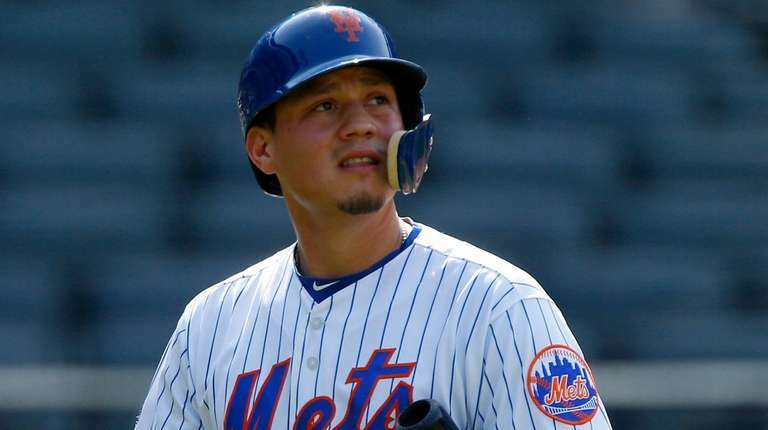 Wilmer Flores, the beloved ex-Met — and famed fan of the television show “Friends” — agreed to a one-year, $3.75 million deal with the Diamondbacks, an AP source said. The deal includes a $6 million club option for 2020 with a $500,000 buyout.Flores, 27, had spent his entire career with the Mets organization, dating back to when he was 16, coming in from Venezuela, before being non-tendered after the 2018 season. He played 126 games last year, hitting .267 with 11 home runs and 51 RBIs, but was diagnosed with arthritis in both his knees, potentially putting his baseball future in jeopardy. He was shut down in mid-September. Though never a superstar by standard measures, Flores was very much a fan favorite, dating to the night in 2015 when he had found out he had been traded mid-game, and began to cry on the field. The trade fell through, but the devotion wasn’t forgotten by Mets faithful. Two days later, he hit a dramatic walk-off home run in the 12th inning of a game against the Nationals, cementing his place in franchise lore. The fact that he also came to the plate to the Friends theme song — it’s the TV show that taught him how to speak English — prompting stadium-wide claps, helped, too. In 2018, Flores became the Mets franchise leader in walk-off hits, with his 10th, surpassing David Wright — the feat was even more notable because Flores primarily played a utility role in his six major-league seasons with the team.